Canzoni. Vita Nuova. Manuscript on paper. Northern Italy, mid-fifteenth century (not before 1404). Trattatello in laude di Dante. 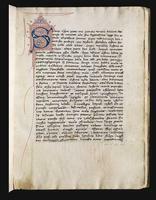 Decorated manuscript on paper. Florence, first half of the fifteenth century. 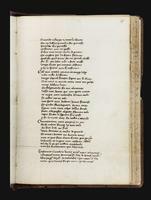 Vita di Danthe Per Leonardo Aretino. 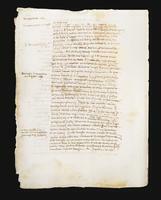 Manuscript on paper, from a miscellaneous codex. Florence, late fifteenth-early sixteenth centuries. Signed autograph letter to Francesco Ridolfi, on the Commedia and its commentators. Florence, 19 May 1665. La última sonrisa de Beatriz. 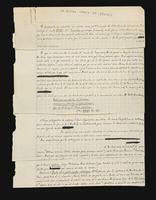 Autograph manuscript. Buenos Aires, ca.1948.